Also, consider looking into a local diving club, there is Moss Bay, Marker Buoys, Kelp Crawlers, etc. Marker Buoys are the most active. Hi, and welcome! Glad you are here. Look around, join in conversation, ask questions. 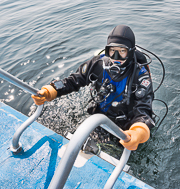 This site is a great resource for divers. New to the club. it's been a few years since I have been diving. Welcome to the board, Rommel! As the distinguished GDog here says, the midweek dives are regular opportunities for you to get some dives under your weight belt and also to meet some local divers. I think you’re approaching it the right way in renting at first and then buying your own gear once you’ve got a few more dives worth of experience to know what sort of kit you’re aiming for. It may also be helpful to post your size/weight in one of those dive planning threads as many of us have spare gear we’re happy to let you try out for a dive or two. Most rental gear is of a similar variety. Hi Rommel! Welcome to the board, and congratulations on embarking on the fantastic journey of Scuba. I think you will find this site to be a great resource of information, learning, and diving. We have weekly midweek dives, thursday evenings in the south sound, and wednesday evenings to the north. Watch the dive planning thread for upcoming dives, and feel free to join in! Ask questions, and join in on discussions. My name is Rommel. I live in Seattle and I am new to scuba diving. I got my OW certification a few weeks ago and I am eager to get back in the water. However, I do not have a diving buddy and I do not know anybody who dives regularly. - I am an OWD with 4 dives. - All my 4 dives have taken place in cold water in Seacrest Park Cove 1. - I am interested in any kind of diving as long as it’s within 60 feet. I have gone as deep as 55 feet. - I do not own my own gear for now so I would need a little advance notice in order to rent gear before going out for a dive. - I am available to dive on weekends. I will also be available on 30th and 31st of October. I am looking to dive about twice a month for a while before I decide to get my own gear and get further certification. Feel free to email me (jay.hawk.000.000@gmail.com) if that is easier.